Today is a big day at Speck HQ. The iPhone 7 and 7 Plus have arrived and with them, Speck is excited to launch Presidio, our brand-new line of smartphone cases. Presidio combines an ultra-slim design and our most advanced impact protection to create Speck’s best case yet. Presidio represents a significant step forward from our flagship CandyShell line. The cases are thinner, yet more protective than CandyShell, thanks to the IMPACTIUM™ Shock Barrier. IMPACTIUM™ is a dynamic shock-absorbing material that lines the inside of Presidio cases. This material is formed into ridges on the inside perimeter of the case that compress on impact to absorb and disperse shock before it reaches the device. Presidio, Presidio INKED, Presidio GRIP, and Presidio WALLET cases have this innovative new shock-suppression technology. 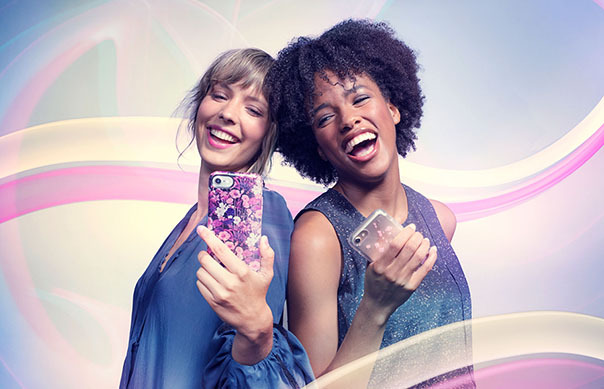 Presidio CLEAR, Presidio CLEAR + GLITTER, and Presidio CLEAR + PRINTS protect your device with a dual-layer design made of IMPACTIUM™ CLEAR, a dynamic material that absorbs shock, and a hard polycarbonate exterior that disperses shock away from the phone on impact. These two layers provide superior protection, without making your phone feel bulky. With Presidio, we are using all-new standards to test our cases against drops. We wanted to make sure our cases can hold up to extreme drops, so that you’re confident they’ll protect your phone from everyday drops from a much lower height. Presidio, Presidio INKED, Presidio GRIP, and Presidio WALLET are drop tested from 10 feet (that’s as tall as a basketball hoop) multiple times both in-house and by a third-party laboratory. For our Presidio CLEAR cases, we’ve drop tested them from 8 feet multiple times by a third-party lab. All Speck cases, including Presidio, are lab tested for scratch resistance, chemical resistance, precision fit and more. We run our cases through rigorous testing to ensure they will withstand both extreme and everyday wear and tear. Presidio is also backed by Speck’s limited lifetime warranty. Ready to get your hands on a Presidio case? They’re available right now on speckproducts.com.